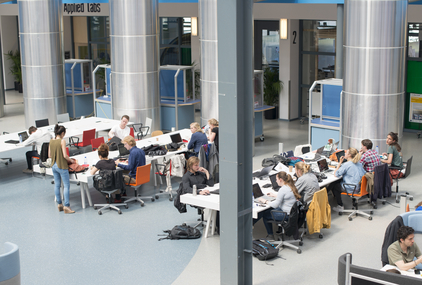 The Dutch university population has reached a record 258,000 this academic year as an increasing number of foreign students enrol for courses in the Netherlands. While student numbers rose by 1.8% overall, almost 20% more foreign students arrived in the Netherlands, taking the total to over 36,000. Most come from Germany, China, Italy, Greece and Britain, the Dutch university association said. There was a slight drop in the number of first-year students, which may be due to the decision to scrap all student grants from the current academic year, the HSNU said. The most popular courses remain law, with almost 14,000 students, psychology (12,000) and medicine (9,500).